After having a good appetizer in the form of the T20s, we are now ready for the main course. The test series between India and Australia will begin this week in Adelaide. What will Adelaide offer ? The Adelaide oval, in recent times, has hosted pink ball tests played in day and night format. The pink ball tests have been extremely bowling friendly. But, this test match on the 06th of Dec between India and Australia will be played in the traditional format, during the day with the red ball. So, the recent matches at the Adelaide Oval cannot be a guide. Adelaide has traditionally been a batsman’s paradise, with some turn on offer for spinners on the last day. Adelaide match has often been a test match decided by the second innings of the respective teams. The famous Ashes match in 2006/07, when Warne spun the English out, is the classic example of how an Adelaide test can progress. Even the 2003/04 test match between India and Australia, was a match decided by the second innings. So, if we get the traditional Adelaide pitch, one might be tempted to expect a high scoring first innings where the teams will look to cancel each other out. But, given the overwhelming strengths of the two bowling units, I would reckon that this test match may not follow the usual plot. The highest innings total might be in the 300s only. Why India may not win this test? As I had discussed in this past article, this is India’s best chance to win a test series in Australia. However today, I would like to discuss the other side of this story. What can possibly go wrong for India? This line of thought was aroused in my mind by this article of Ian Chappell. He reckons that India will find a way to lose the series, like they did in England recently. He has not explained his intuition in detail. So, I thought of digging deeper into those unsaid words of Ian and see how India could lose this test, if not the series. The warm up game against the Cricket Australia XI at the SCG, gave me some points to lend credence to Ian’s intuition. 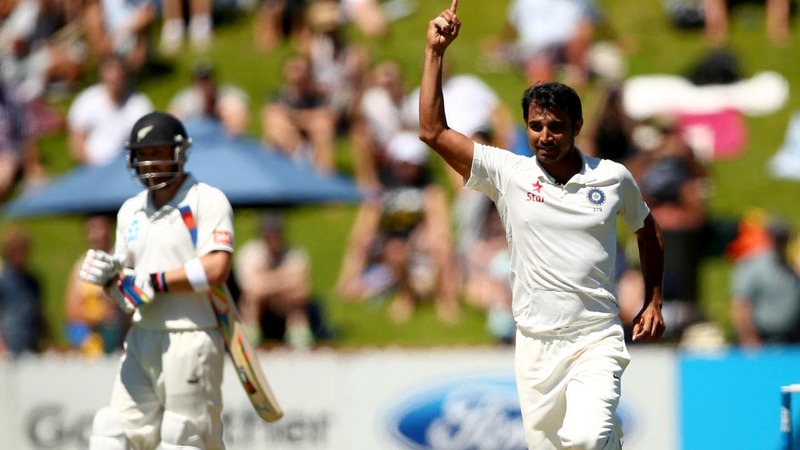 The chief culprit could be the Indian bowling line up’s inability to keep the Australian team to a low score. In this warm up game, the Indians let the opponents score 542 runs. It is very difficult to win a test match after conceding 540 runs to the opposition. Often in the past, Indian fast bowlers seem to struggle with their length on the Aussie pitches. The Kookaburra ball used in Australia does not help them either, as the ball’s seam flattens very quickly. Ian has alluded to this fact in his article. Indian fast bowlers have been far more successful in England than in Australia. If the bowlers could urgently look at the tape of how Irfan & RP Singh bowled in the 2008/09 series or how Agarkar bowled in that second innings of the 2003/04 Adelaide test, it will give them the answer. Bowl the full length and make the Aussies play more deliveries off their front foot rather than off their back foot. India, in the past, have often made strange decisions with the team to give the initiative to the Aussies. Not picking Viru for the first part of the 2008/09 series was the chief among them. This turned out to be my big worry after seeing the team that played in the warm up game. Virat gave Kuldeep only one over to bowl in this match. I hope Virat did this in his effort to not expose Kuldeep to the Aussies before the test match. In my mind, Kuldeep has to play the Adelaide test. The fact that Bumrah, who is an absolute certainty for the first test, also bowled just a handful of overs in the warm up match, makes me think that Virat was indeed holding his aces back. If my analysis is wrong and if Ashwin, who bowled 40 overs in the match, is picked as the primary spinner at Adelaide, hmmm!! The injury to Prithvi Shaw in the warm up game, has introduced a bit of uncertainty into the Indian line up. The attacking nature of Prithvi’s batting at the top of the order, is one of the ‘X’ factors that could have helped India take the early initiative. Viru showed the effectiveness of this approach in the 2003/04 series. With Prithvi gone, the opening combination at Adelaide will be a traditional one. In other words, one that will try to grind the opening bowlers down rather than one that will try to take the initiative away. Except if one of those openers is Sunil Gavaskar, we have seen that Indian teams have generally not succeeded with this approach. Rahul and Vijay, have to come good at the top. Otherwise, Virat will come in with the scoreboard reading 20/2, and we know how this movie ends. Even, the great Sachin & Dravid combination couldn’t win India test matches from such a position! Michael Vaughan, in this article, wants Rohit Sharma to replace Prithvi rather than going back to a traditional opener. It is an idea or rather a temptation worth examining. My counterpoint to Michael is as follows. Rohit’s struggle against good left arm fast bowlers is well documented. Mitchell Starc will lick his chops, if he sees Rohit walk in to face the new ball! Despite the great Ian’s views, I would still maintain that India will win this series. As it happens in a free world, our opinions will change based on data that will come in as the series progresses. For now, I will sit back and enjoy the first test at Adelaide, the home of Sir Don Bradman. Don’t forget to visit our cricket page on World In Sport for previews and reviews of this test match!